Northwest Division: Portland Trail Blazers, Denver Nuggets, Oklahoma City Thunder, Denver Nuggets, and Utah Jazz. Consisting of some of the most power-packed teams in the league, the Northwest division is the one to watch out for. Currently, the division consists of four teams (out of five in the division) who are slated to land a playoff spot by any means. With four of the Northwest teams being in the top six in the West, this bunch houses arguably, the most talented and competitive atmosphere across the league. 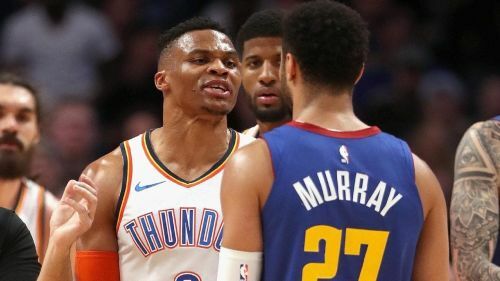 Accommodating megastars like Russell Westbrook, Paul George, Damian Lillard and Karl-Anthony Towns, there is always a looming possibility of a thrilling matchup when the above teams are in action. Let's dive in and take a look at the current team standings on the Northwest Divison leaderboard. 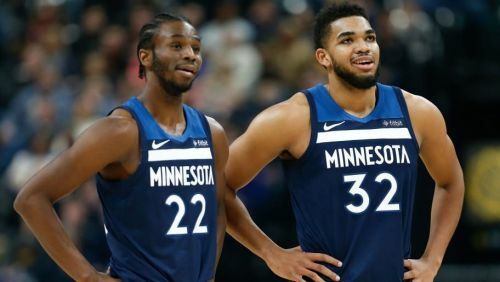 Timberwolves offered a five-year/$190M extension to KAT this past offseason. Minnesota haven't been at their best lately, as they currently reside at the 11th spot on the Western Conference standings. Having lost six of their last ten games, they are now four games out of the playoff picture and an insurmountable 12 games below their division leaders. They host a miserable 4-6 (win-loss) record against the Northwest division as of this moment and are one of the six teams in the West with a sub .500 record. They are 27-30 (0.474) on the season and are 19th in the league when it comes to FG%, with a conversion rate of 45.2% from the field across 57 games played. The Jazz are the only team without an All-Star in this division. Donovan Mitchell and the Utah Jazz are sixth on the West leaderboard and fourth in the division with a 32-25 (0.561) win-loss record next to their name. They have not shown any improvement carrying over from the previous season, however, they will bag a comfortable playoff berth yet again. Riding on an uber-talented sophomore, a former DPOY, and a veteran Spanish guard, Coach Snyder has never run into a lack of options. 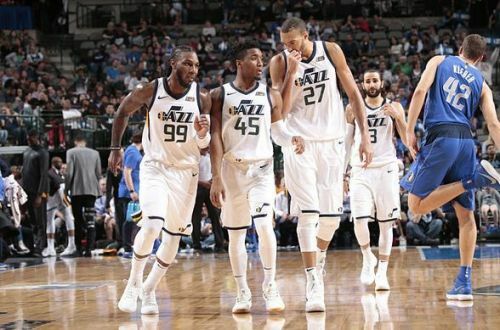 The Jazz hold the second best defensive rating (103.9) in the league, but hold a 5-6 (losing) record against teams in their division. NBA 2018-19: Can the Denver Nuggets stay on top of the Western Conference?